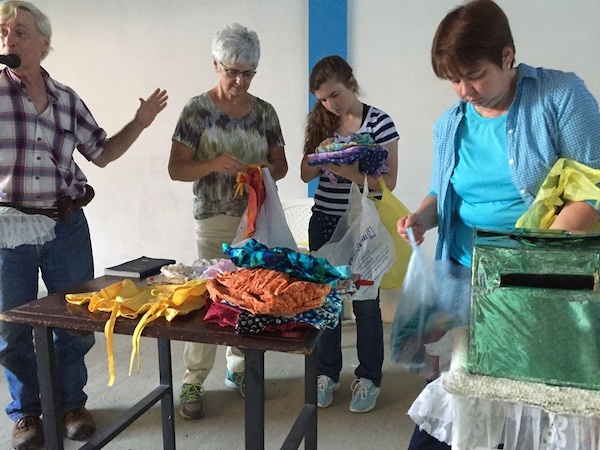 Back in February, we put out the call for all of our sewing/knitting/crocheting friends to make items for the work crews to take to Colombia for us to distribute. 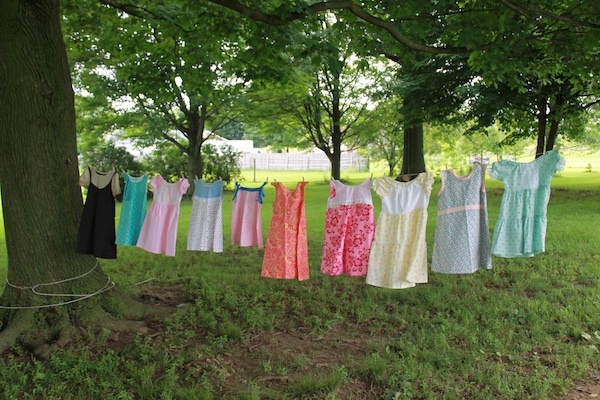 A sewing group in Michigan answered the call quickly, by quickly…..we received a box of hundreds of dresses, then another, and another still. They were all unique and beautiful, just like the little girls who would be receiving them. I was such a blessing to receive them so quickly. 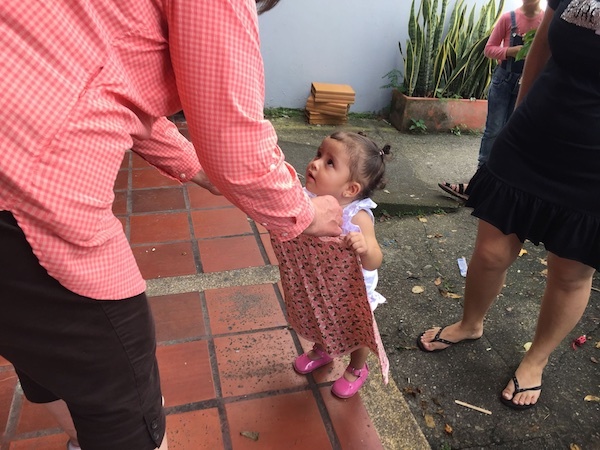 We had a work crew from Indian Run Christian Church in Ohio traveling down in late June/early July, they took all the dresses and helped distribute many of them in the very poor areas on the outskirts of Villavicencio. 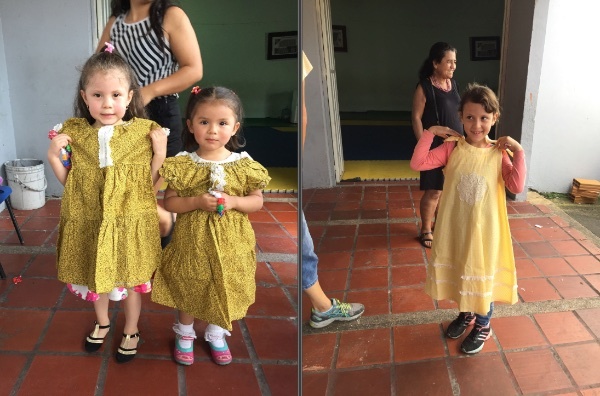 As you can see, these little girls are so happy to have beautiful handmade dresses. 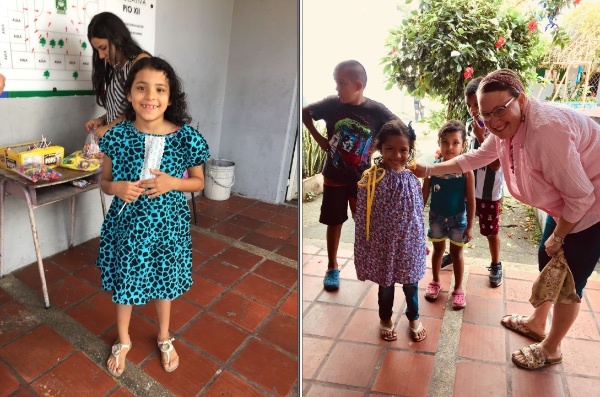 We are still collecting dresses, along with knit/crocheted hats to pass out in the cold areas of Bogota and the mountains. 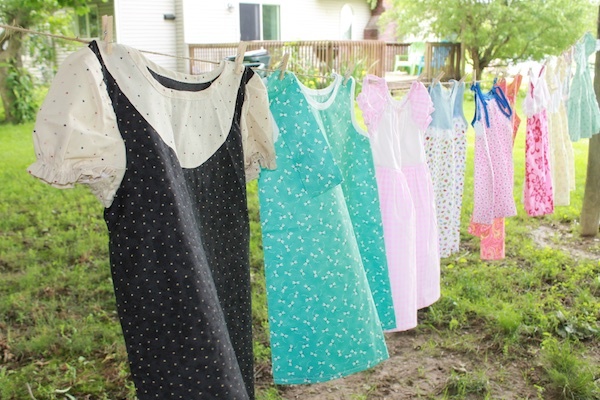 If you like to sew/knit/crochet, consider making a few of these items for us. If you are part of sewing/knitting group, get them involved as well.